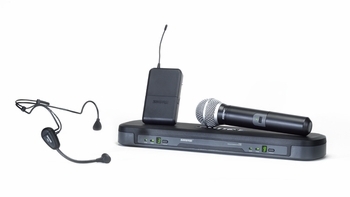 Shure PG1288/PG30 Wireless Microphone Dual System DJParts - All Variety of Parts that DJ Needs. Includes PG88 Dual Diversity Receiver, PG1 Bodypack Transmitter, PG2/PG58 Handheld Microphone Transmitter, and PG30TQG Headset Microphone. Comfortable and reliable for active users.